New York has a reputation. People find it easy to stereotype your classic New Yorker as being rageful, full of attitude, and rough around the edges. That might be obvious from the representation the state receives in movies and television shows. Maybe not so obvious is the level of driving skills New Yorkers have. New York City is full of efficient public transportation options, so it’s understandable that plenty of people living in the state don’t have the same experience driving vehicles as others. Enrolling into a defensive driving course online might not even fix this issue. That’s why we’re exploring just how bad NY drivers are. 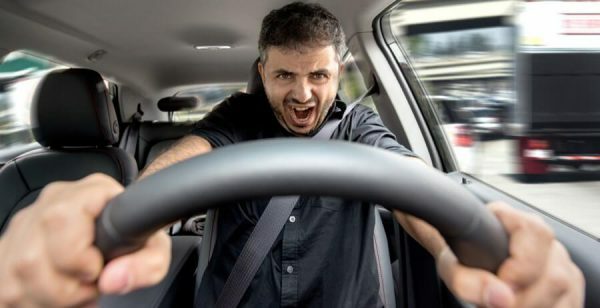 In a national report published by carinsurancecomparison.com, New York State was ranked 32nd in reckless drivers. That’s a good rating. The worst state to drive in was Montana, which is understandable, because everyone rides horses there. Interestingly, New York, a state known to be aggressive in nature, was not so aggressive in its driving nature. Believe it or not, but the state that has built its reputation on ripping people new ones are very polite drivers – at least moderately. The reason being is potentially, because people take it out on each other through furious rage yelling on the streets. There’s something more interesting about this statistic. According to the New York Health department, on average, there are 1,098 deaths reported every year in the state due to road incidents. On top of that are 12,093 hospitalized visits from people injured in a traffic-related event. If New York is the 32nd ranked state for reckless drivers, that means other states, more reckless than New York, have a higher number of deaths and traffic-related injuries. The question shouldn’t be, how bad are NY drivers, but how bad are drivers? We’re looking at you Montana. New York contains the 3rd most congested city in the world, harsh winters with ice freezing over roads, and mindless animals jumping in front of cars in the forests. The driving conditions are not in the favor of the locals. Despite all of this, New York still preservers as the 32nd reckless drivers state. That’s pretty good considering the odds are not in their favor. Whether it’s ride sharing apps, classic taxis, bus drivers, or other modes of public transportation, getting around the city or any other part of the state is quick and simple. Transportation is so efficient in the state, even the rats don’t have a problem getting around the city. That’s why it’s important to demystify the stereotype that not all New Yorkers are atrocious drivers. Sure – they might chew you out for walking or almost hitting them when they are trying to cross the street… or highway, but it’s coming from a good place. They might be yelling, “You almost hit me, you $#&@!” But what they are really yelling is, “New York state is stereotyped as having poor drivers, please take an initiative to help change that by being a defensive driver, have a nice day!” Don’t make other New York drivers look bad by being an awful driver. While traveling around the state, remember to be a defensive driver. If you’re not, you can’t use the excuse that New York is a reckless state. The average driver has a pretty good experience with operating a vehicle, so that means you should too.